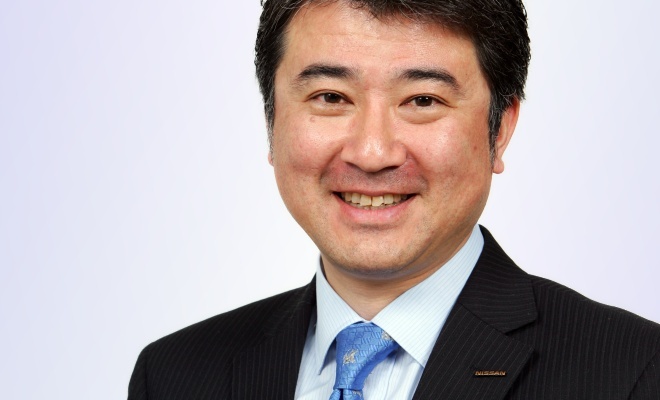 Me: You’re responsible for electric vehicles across the Renault-Nissan Alliance, so tell me about the most obvious crossover between the two firms – the Nissan New Mobility Concept. 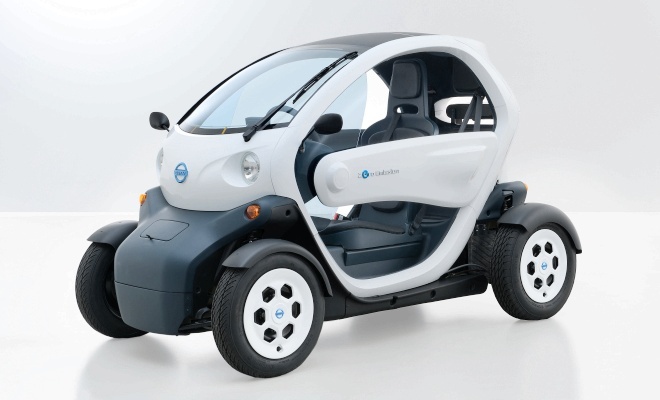 Announced in November last year, it looks exactly like a Renault Twizy with a Nissan badge. What’s the thinking behind that move? HW: With that car we have been studying various opportunities, with a focus mainly on Japan [where Renault has no presence]. We are talking to local governments about different mobility options for cities. If the market reaction is strong, we may go ahead. Me: And has the reaction been strong? HW: It has been very positive. New Mobility Concept is not a catchy name – I have to concede that Twizy is better – but it is illustrative of what we can do with that product. In Japan, people are travelling into the big cities from the countryside every day. But because of the economic situation in Japan, a lot of the gas stations have been going out of business. People prefer to use a mini-bike instead of a car, but a bike is dangerous, especially for old people. We think the NMC has a place there. In the cities, it’s also suited to car sharing, and can go down very narrow lanes. Me: I ran into Andy Palmer [Nissan’s global product planning chief] just before the Paris motor show in September. He surprised me by saying the Land Glider from the 2009 Tokyo show was still under development and could become a production product. Land Glider is a two-seat tandem EV, as is the NMC. Does the new concept’s arrival mean the Land Glider is dead? HW: No, the Land Glider is still in process. 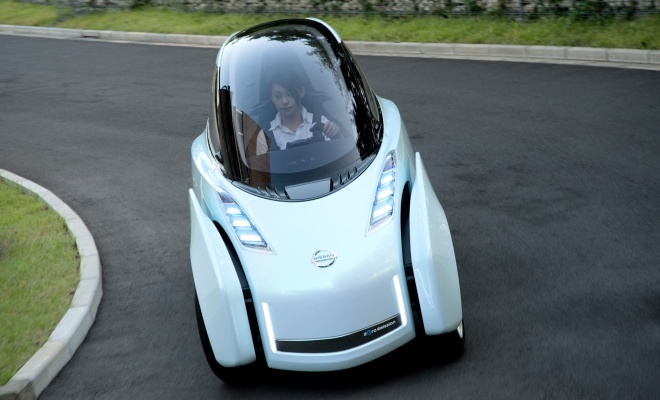 It will be very different to the Twizy – faster and more upmarket. We are looking at every opportunity. Me: The ESFlow that Nissan will show off today is an electric sports car concept based on the Leaf hatchback. What aspects of the ESFlow are we going to see in production? HW: There’s not much I can say about that. We do want to provide lots of opportunities with our EV platform. The Leaf is the start of a totally new world, but there is also a light commercial vehicle and a luxury car in the production plan. Today’s concept is not really in the plan. Me: The Leaf is a heavy car [at 1,525kg]. 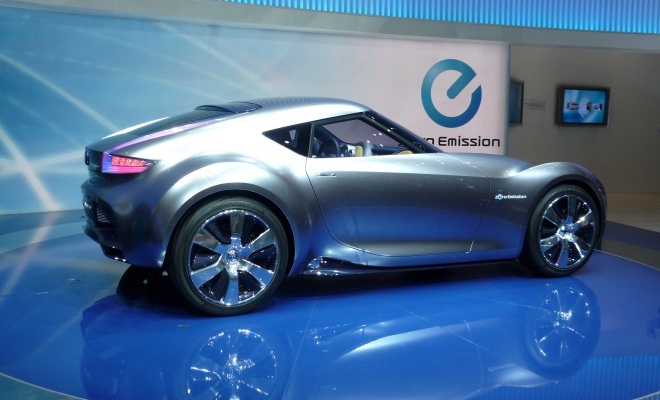 How important are lightweight materials going to be for electric cars in the future. BMW is going to use carbon fibre and aluminium instead of steel for its upcoming i3 “MegaCity” electric car. Are you going to follow suit? HW: Light weight is of course better for range, but it’s all about the balance between costs and benefits. We are not aiming for niche markets with a car like the Leaf. It has to be affordable. Not cheap, but affordable. We could make a superlight Leaf, but it would be too expensive. We’ve done what we can with high-strength steel and aluminium, the same as we’re doing for our internal combustion engine vehicles. We’ve also done a lot of things to reduce drag, around the front of the car – particularly its lights – and at the rear with a diffuser. 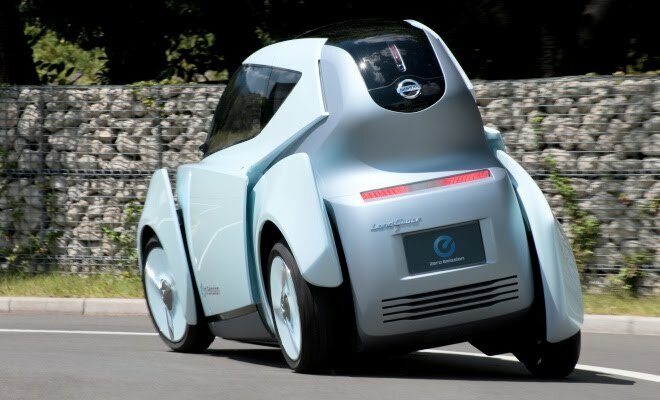 Me: What about the luxury car you mentioned – the Infiniti EV, due in 2013? It will command a higher price, so might that use more expensive materials? HW: The Infiniti car will be in the luxury zone but we are not doing super special things with it. The Leaf is built on a mixed line that also assembles the Juke, and we’ll do the same sort of thing for the Infiniti. We don’t want to have to produce EVs on their own line because that will just push up the costs. Me: What sort of feedback have you had from early Nissan Leaf customers? HW: Lots of people have been surprised to learn how much their driving style can affect range. Owners quickly get used to the range and how it varies, and they stop worrying. [Watanabe fishes out his iPhone and shows me the app that communicates with his own Leaf back in Japan, where the local time is about 1am.] My Leaf has 74 per cent charge, but it was fully charged when I left. So my wife has been using the car, and hasn’t bothered to plug it in. She’s obviously not worried about the range. I think the biggest surprise, though, is the sportiness of the car. People say it’s faster and much more responsive than they expected. They even say it looks like a sports car. I have to say, I can’t see that myself. It’s nice to look at, but a sports car? I don’t think so.